After completing my national diploma at the Cape Peninsula University of Technology, I achieved my CIDESCO international qualification in 2004. 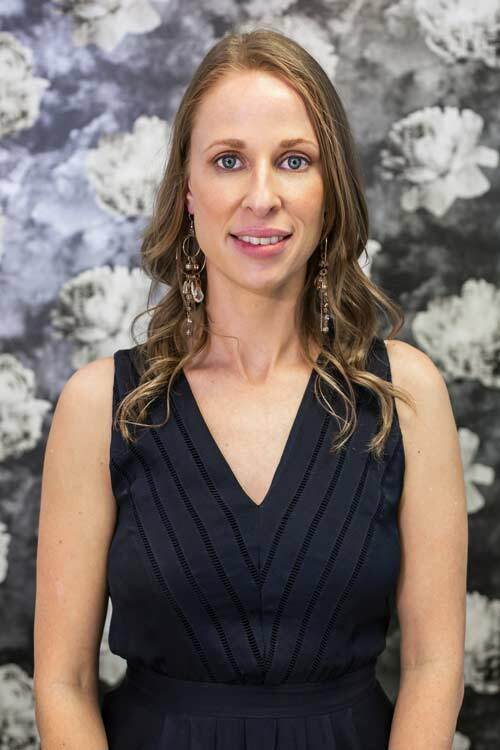 I went on to work as a health and skincare therapist at a multitude of skincare centres and my passion for helping clients achieve their optimal skin health deepened. I then broadened my skillset by concentrating on my administrative skills and was a clinical and surgical assistant to various healthcare practitioners before joining Atlantic Dermatology and Laser in 2011. Here my managerial background and in-depth knowledge of skin culminated in a position where I was able to combine a fiercely service-oriented approach with my genuine care for our patients. I have personally received training in every procedure carried out within the practice which means that I am able to support you through every step of your treatment process. I strive to keep a tight rein on the day-to-day running of the practice and will ensure that your experience within our walls is a superior one. My personal and professional manner is one that you will come to know and trust.